We hear from European writers, comedians and musicians about the culture of a changing continent. Can you find the funny side of Brexit? The British comedian Andrew Doyle tells Tina how he believes British comedy and culture have been changed since the EU referendum. From Victor Hugo to Emile Zola, France has a long legacy of writers who seek to speak for the disenfranchised. But which writer represents the disaffected and the socially marginalised in the age of the anti-government yellow vest protests? The writer and journalist Anne Elisabeth Moutet traces the legacy of French social writing from Les Miserables to les gilet jaunes. With fears of rising populism across Europe, we hear from the Turkish writer Ece Temelkuran on what it takes for a country to turn from democracy to dictatorship. You’ve heard of One Direction, *NSync and Westlife but now there is a new boyband on the scene - the Breunion Boys. 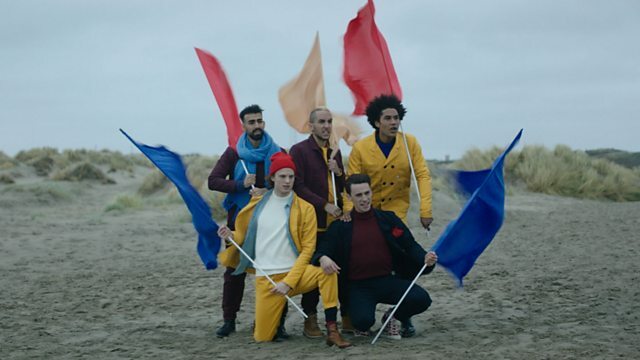 We meet the Dutch pop group who are trying to convince the UK to remain in the European Union all through the power of the ballad.